BGS has trained over 2,000 PhD and combined degree students, whose impact on science, medicine, technology, and innovation has been immense. The charts above represent career paths for PhD students of BGS graduating 2002–2011, as tracked in 2017. The time frame was chosen to minimize postdoctoral training as a confound yet maintain relevance to current and prospective students. 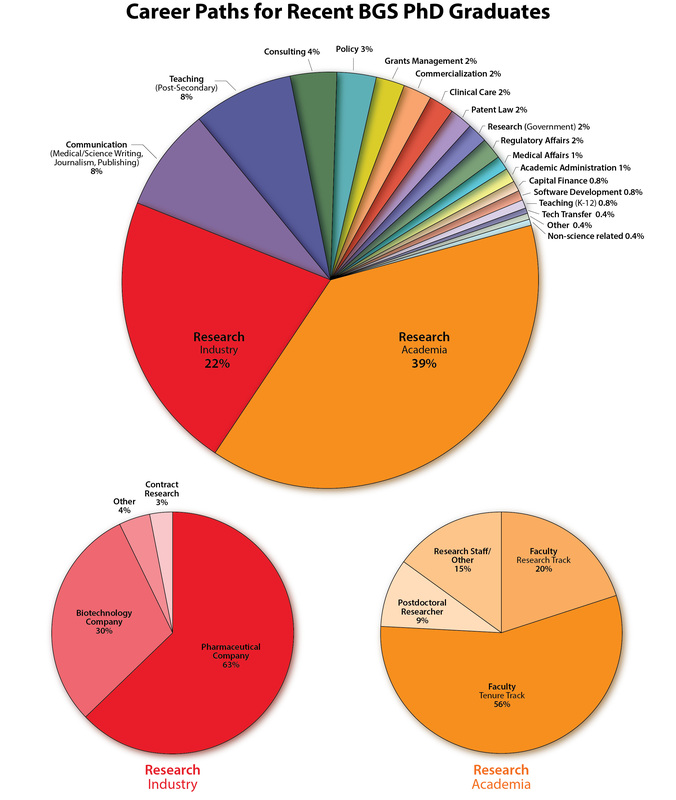 The two smaller graphs are split-outs to provide greater detail for industrial and academic research.